Ahol Sniffs Glue is a South Florida native street artist, well-known for his murals in the Wynwood neighborhood and on several buildings and walls in Miami. The main theme of Ahol’s work is based on the eyes. Eyes are the windows to the soul. The artist says that “The eyes tell all, they tear up and droop when sad, and light up when excited and happy. You can tell a lot about a person by looking into their eyes”. 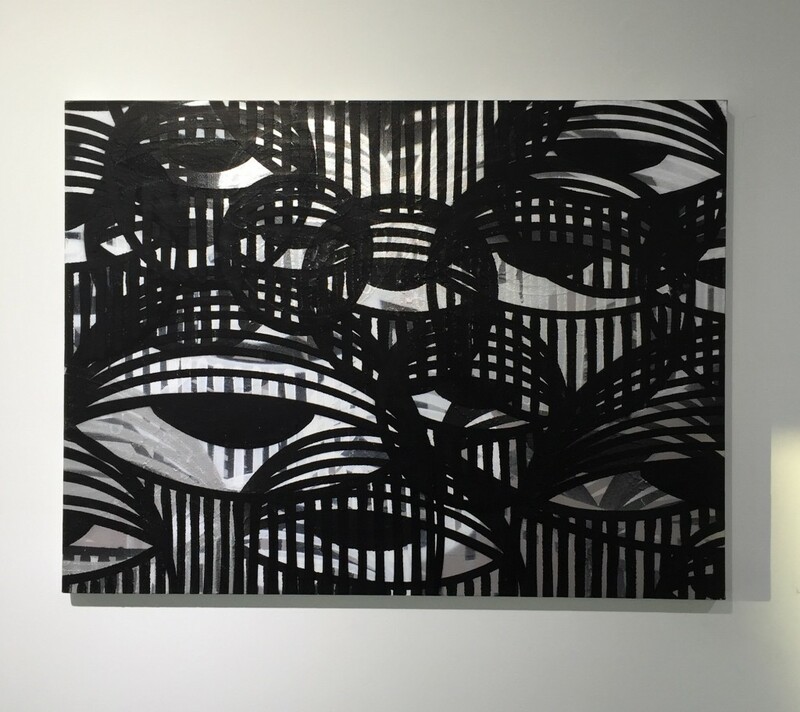 Getting inspiration from the urban environment, Ahol depicts expansive fields of drowsy eyes, reflecting his unique vision of life, labor and torn love of the streets of Miami. According to him, these eyes tell the story of Miami’s hardest-working people and their drowsiness symbolizes the struggle of everyday regular people. The struggle is represented mostly by the dull, job-related conflicts often encountered in the everyday workplace. “I am inspired by the average person who gets up every day and hustles. Whether it’s to feed a family or feed a passion. Many people are stuck in a job or work place, not by their own choice, but because they need that job in order to live, pay their bills and this will affect their personal lives“. This message transforms the artwork in an ode to the everyday life, with all its struggle but also happiness and simplicity. This topic is in line with the true concept of street art, which often tackles political, economic, social and every day issues that people face. Furthermore, Ahol’s artwork deals with his daily life of not just the hardships, but of the city he loves and calls home: Miami, a rich and complex tapestry of contrasting cultures. In Ahol’s work the use of pattern is, indeed, fundamental. The pattern is a combination of elements or shapes repeated in a recurring and regular arrangement. Since patterns can be considered a non-figurative representation, they can be used to convey spiritual principles or general concepts, in which they become potentially universal, as the meaning of the eyes. Untitled Layered #13 is the very first diptych by Ahol Sniffs Glue and it takes his eyes to a whole other dimension. The work is more abstract expressionistic. This work’s theme is developed through complex patterns, which can be divided in different categories based on the position of the eyes. 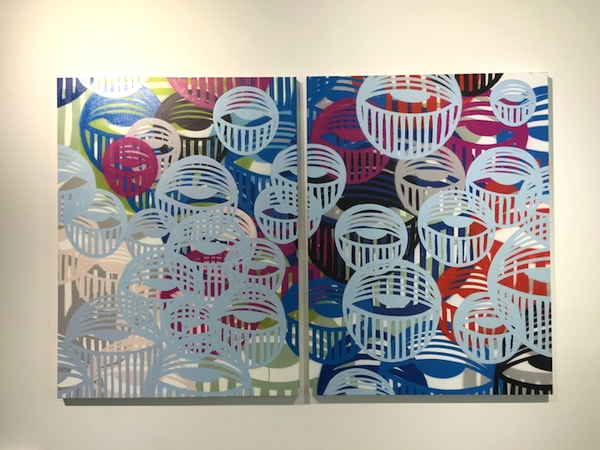 This diptych is what is called Layered, since the eyes are depicted through different juxtaposed layers one on top of the other. 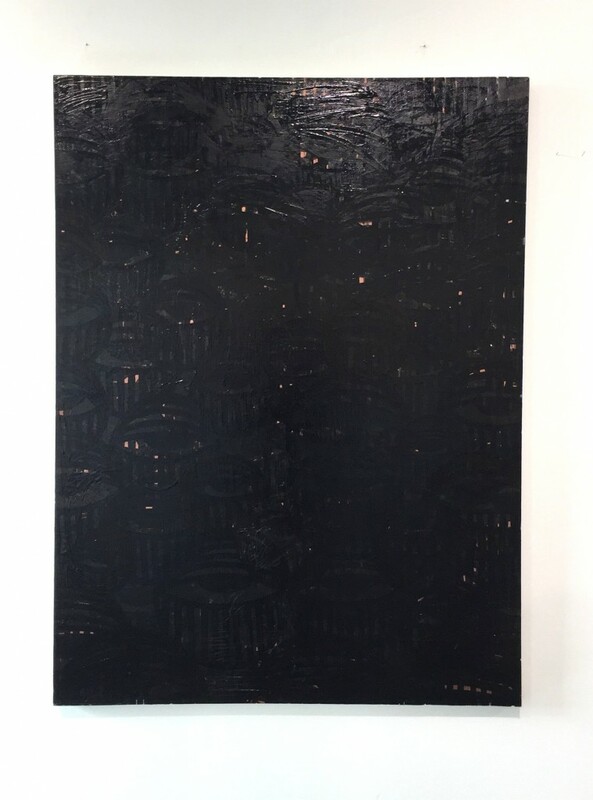 In Untitled Layered #13, we have two panels worked with acrylics. The different colors, size and thickness of the eyes seem to be scattered randomly on the canvases, but they hide a precise order and a well thought out, balanced composition. A composition much like the streets of Miami and the people of this city. Ahol doesn’t like to give precise references to his artworks, leaving to the viewer a democratic freedom of interpretation. That is the reason why all his artworks are “Untitled”. Ahol’s work can be seen publicly throughout the streets of Miami. Countless murals of eyes adorn the buildings that inhabit the Magic City. 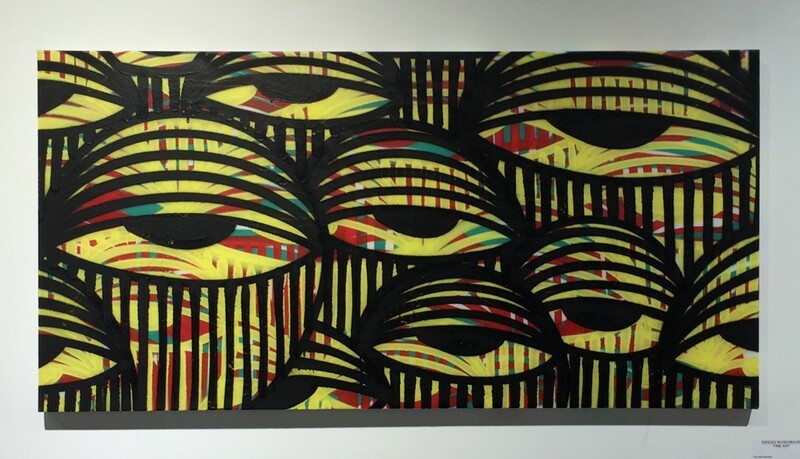 His hypnotic expanses of sleepy eyes represent a landmark in the Miami street art scene and a symbol for all the people living in the city. His work is engaging, raw and represents a bridge between fine art and street art. But most of all, he represents Miami to the fullest. This entry was posted in WOW! and tagged ahol, aholsniffsglue, art, artgallery, diptych, eyes, greggshienbaumfineart, gsfineart, miami, miamibeach, pattern, untitled, untitledlayered13, wynwod by admin. Bookmark the permalink.